If finding a dependable, honest locksmith service seems like a never ending task, then we are the solution to your problem. With a well earned reputation of quality customer service, Katy Locksmith Pros is your number one choice for handling any type of locksmith services you require. We can handle all commercial, residential and automotive locksmith needs and we are fully licensed, bonded, and insured. We offer a complete locksmith service with highly trained expert technicians that provided fast and friendly assistance throughout the surrounding area. With over 5+ years experience, we are top rated with fast response times and honest up front pricing. Our 24/7 mobile team is available when you need them. We understand that emergency situations can arise at anytime, that is why we are committed to our fast 30 min response time to handle your emergency locksmith needs and get you back on your way. Choosing us as your Katy Locksmith, we will provide you the the best service possible and always offer up front pricing. With high-tech equipment and experienced technicians, we can handle any automotive locksmith emergency for any vehicle. Whether you have lost your keys locked them inside your vehicle, one of our expert techs will respond quickly and professionally. 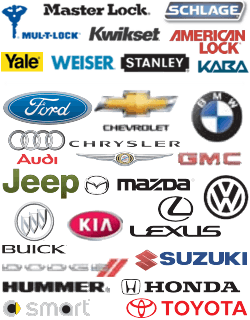 We also provide other automotive services such as ignition replacements and repairs and car key replacement. Whether you have been the victim of a burglary and have had damage done to your locks or you simply misplaced your keys, Katy Locksmith Pros takes care of you at home. Our technicians with over 5+ years experience are up to date on the latest technology and highly trained in skills such as rekeying locks, which requires advanced knowledge and skills. Lock replacements and key extractions are no problem for one of our residential locksmith professionals. We also offer full security audits and high tech lock options. Call our mobile locksmiths today. One of our fast and friendly technicians will respond to your call at your place of business and evaluate the situation. If you need new locks or you need your current locks rekeyed an expert commercial locksmith will advise you on the best course of action to make your business safe and secure. Lockouts can occur just about anywhere, at the home, office, or while in between stops in your vehicle any time of day or night. Katy Locksmith Pros‘ 30 min response time is designed to quickly handle situations such as these so that you do not become overwhelmed. Our mobile locksmith will come to your location 24/7 within a 30 minute response time. The emergency locksmiths we employ can gain access to your property, or gain access to your vehicle’s doors or trunk quickly and efficiently. Call us today for a free quote on any of our complete locksmith services.